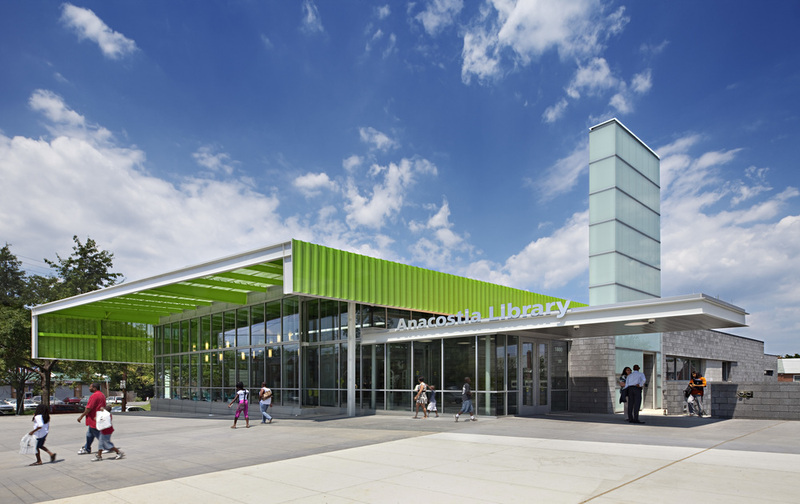 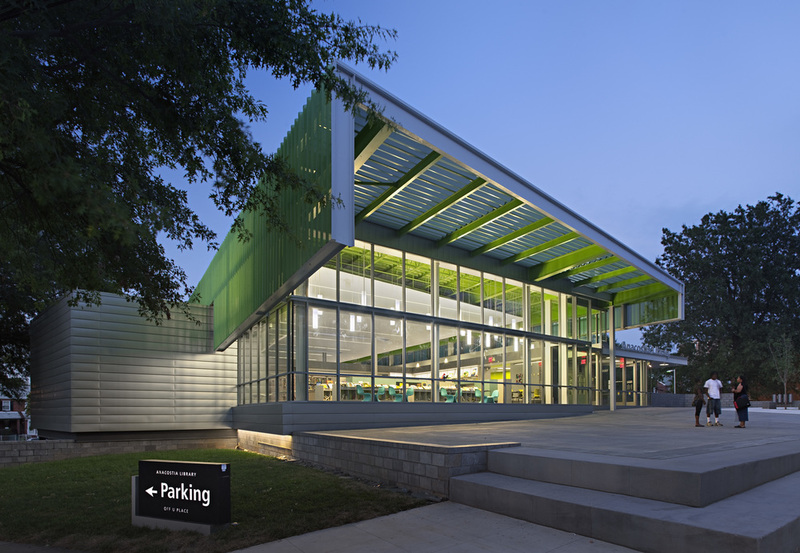 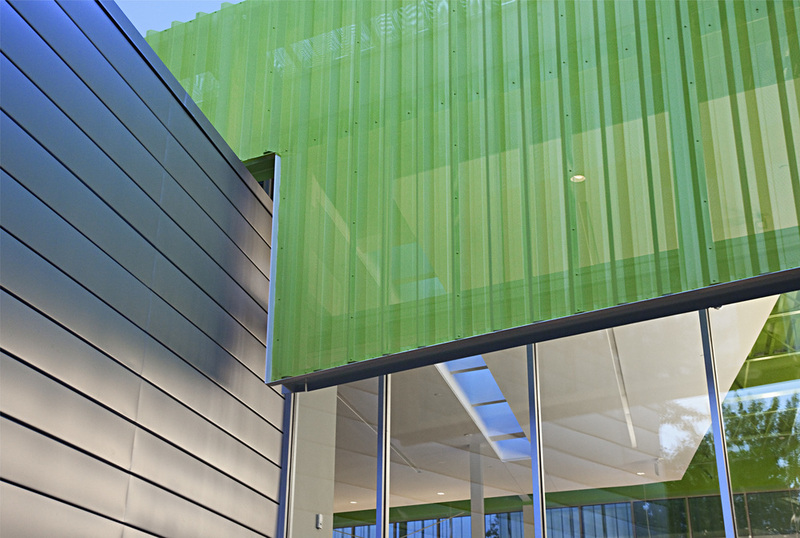 The new Anacostia Library creates a civic building that occupies a full city block within a "green park". 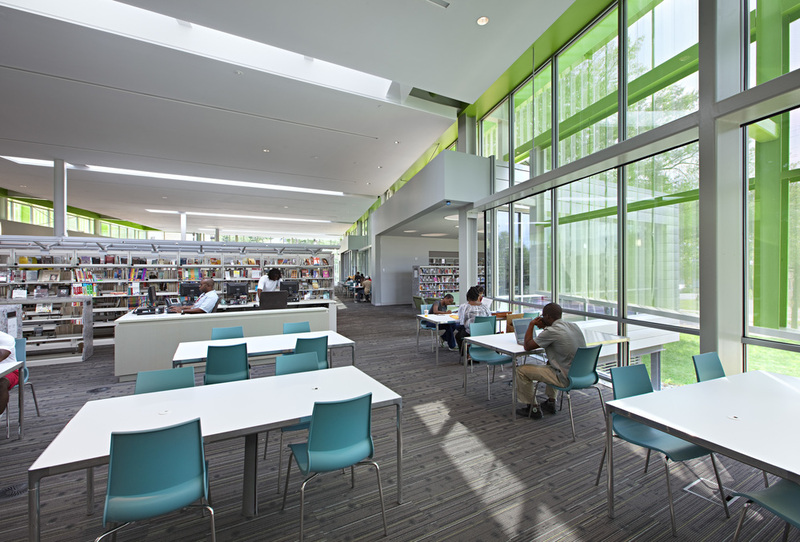 The library forms a series of pavilions which engage the surrounding landscape with intimate sitting and activity areas off of the main library hall. 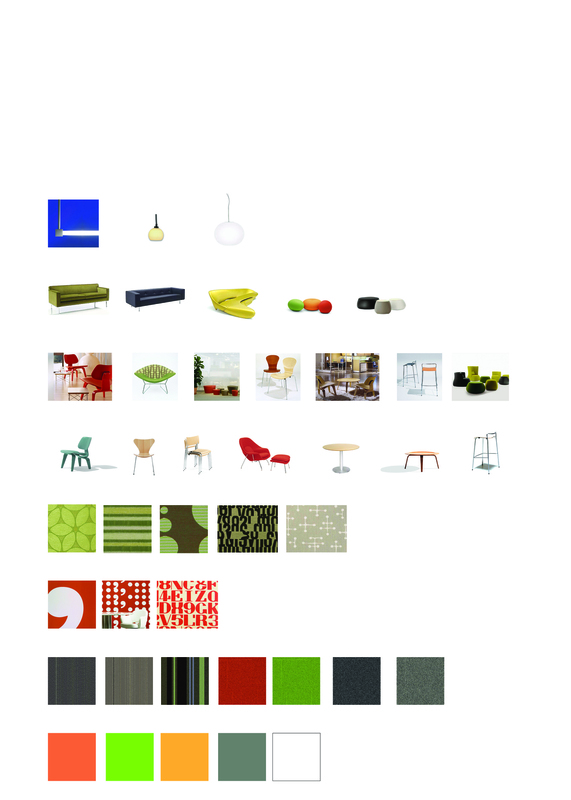 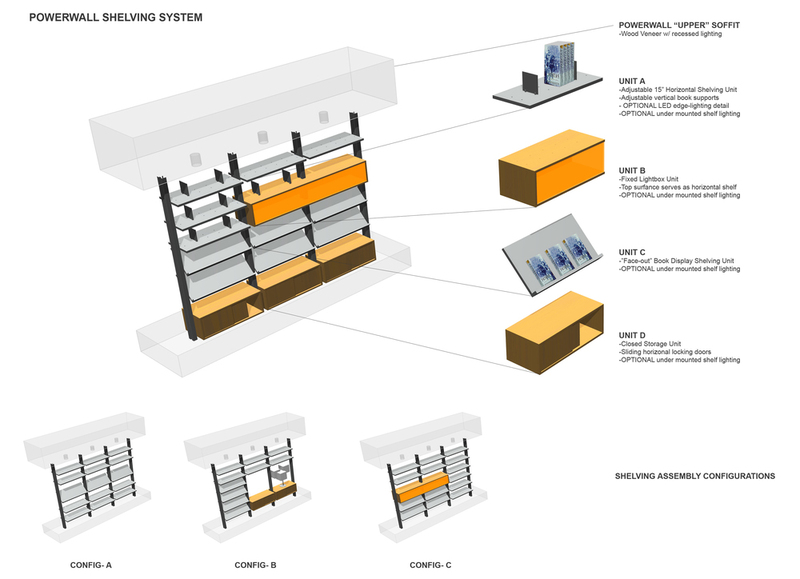 A variety of spaces to meet a wide range of community needs will be in the new facility. 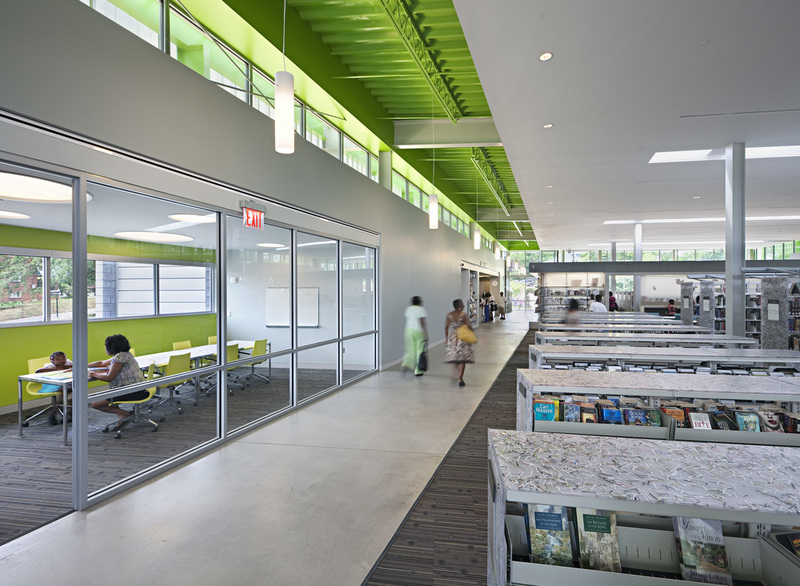 Spaces include a large public meeting room (for approximately 100 people), two smaller meeting rooms, a children’s program room, as well as smaller rooms for group study and for tutoring. 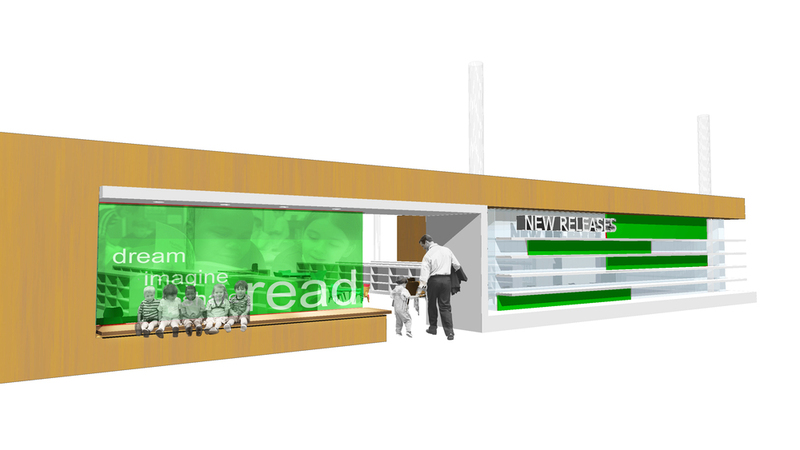 There will be shelving areas for print and non-print materials for all ages. 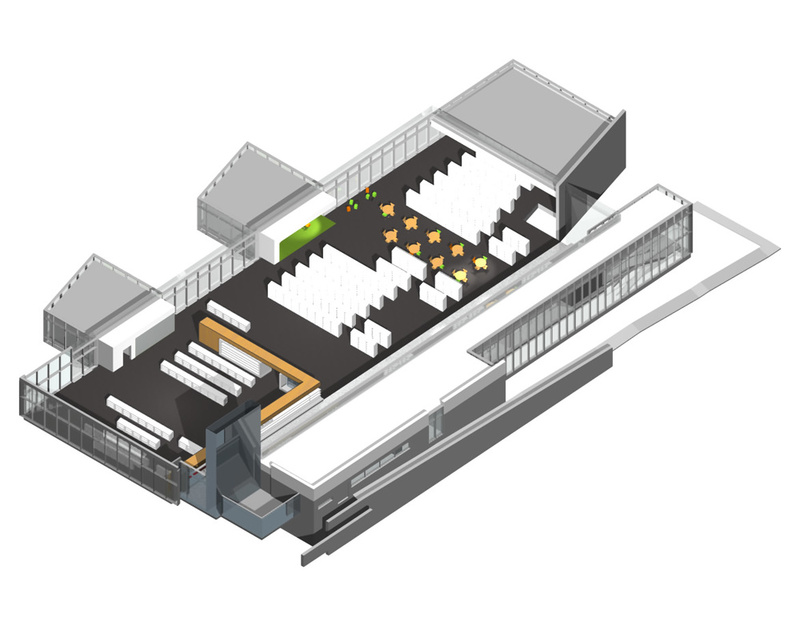 Multiple points of access to virtual spaces through the public PCs and wireless access are planned. 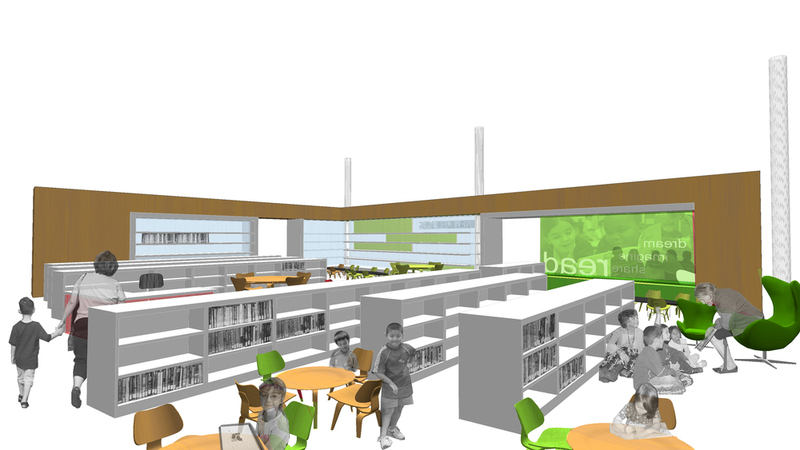 The children’s area will have areas (including collection and seating) dedicated to various age groups (five and under, beginning readers and elementary age). 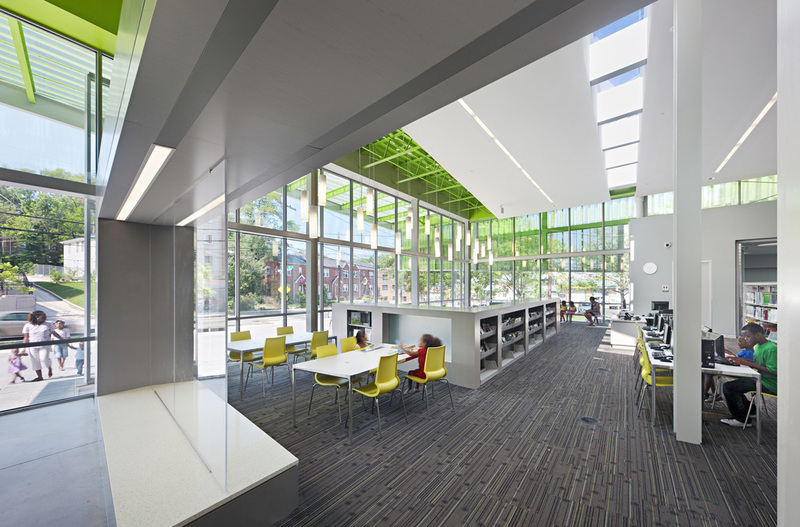 There will be a distinctive area for Young Adults to meet and to learn. 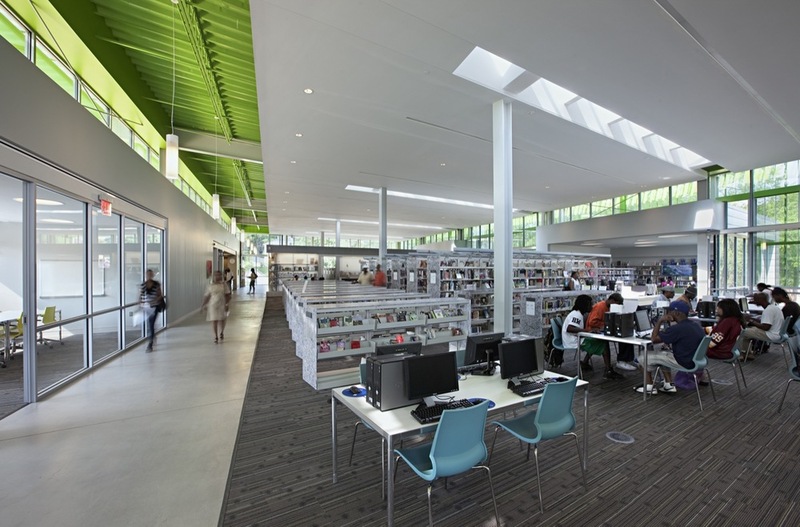 Adults will have their own reading areas, online access area and a large collection of materials.